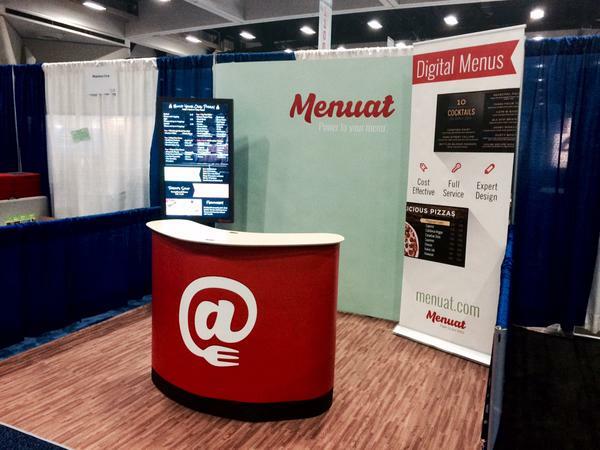 Menuat will be exhibiting at The Restaurant Facilities Management Annual Show in San Diego in February 1-3. This is Menuat’s first time as an exhibitor at RFMA but it is not our first year attending. We will be running a fantastic trade show special for multiple units as well as a giveaway for Attendees who book an appointment with us through the RMFA Attendee Services Center. Shopping for monitors for digital signage can be overwhelming. When selecting a monitor that is appropriate for your specific needs and location, there are some important specs that you need to keep in mind. Brightness is measured in ‘Nits’. This information is readily available on the most manufacturers’ websites. A larger number of nits indicate a brighter picture. The brightness of the screen needed is determined by the ambient light of the monitor’s location. For indoor use with indirect ambient light, a minimum of 400 nits is recommended. For outdoor use, monitors over 900 will be visible in direct sunlight. The bezel of a monitor is the plastic frame around the screen. Although this sounds superficial, the size of the bezel determines the actual size of the screen on the monitor. If you were to run out to your local big-box store and purchase a 50” monitor with a 1” bezel, the available screen space is actually only 48”. These two inches can make a lot in difference in the amount of content you are able to fit on the screen. The size of the screen, and the number of monitors to purchase, can be a difficult thing to determine. Basically, it comes down to viewing distance versus the number of lines on text on your menu. If you email your menu to Menuat, we will be able to recommend the size and number of screens you’ll need. Most consumer grade monitors are only made to be turned on for six to eight hours per day. Digital signage is typically on display for much longer than eight hours per day, causing consumer grade monitors to get very hot. The ventilation systems on consumer grade monitors can be easily over worked. It is important when selecting a monitor for your digital signage that you choose one with adequate ventilation. Another element to take into consideration when selecting the right monitor for your digital signage needs is choosing between commercial and consumer grade grade monitors. The main difference between commercial and consumer grade monitors is that commercial grade monitors are specifically made for the digital signage application by amping up several key features to ensure lasting utility. Commercial grade monitors are made to be turned on 24/7 and employ systems that prevent burn-in. Burn-in occurs after prolonged use of a static images, text, or tickers. This causes a distortion in the picture. Warranty is another important difference between commercial and consumer grade monitors. Most consumer grade monitors are strictly meant to mounted in landscape mode. Mounting a consumer grade monitor in portrait mode will void most manufacturers’ warranties. Commercial grade monitors are made to be mounted either portrait or landscape to accommodate for multiple different applications and come with a three year manufacturer’s warranty. The consumer grade alternative typically comes with a standard one year warranty. It is also worth mentioning that most manufacturers will declare a warranty void if the monitor is used for commercial purposes like digital signage. This comes down to the difference in durability of commercial and consumer grade monitors. Commercial grade monitors are specifically made to withstand higher temperatures and the indoor pollution of the restaurant environment. We do recommend a commercial grade screen as they’re tested in commercial environments to perform for many years. However, they can be cost-prohibitive. As a low-cost alternative, we’ve helped our customers source consumer-grade monitors from stores like Best Buy and Walmart. The screens we’ve recommended have performed well for digital signage purposes, although we haven’t tested them over years as commercial screen providers have done. Based on model, make, and specifications, we can recommend the following consumer grade screens. These three models are fairly similar in that they are all 450 nits or higher, have a small uniform bezel, and decent ventilation. All models below are priced under $800. When purchasing a monitor, be sure to ask about the in-store extended warranties available. Many of the Big Box Store offer a ‘No Questions Asked’ policy that will cover burn-in and allow you to mount your new monitor landscape or portrait without voiding your warranty. If you would like to purchase a warranty after you have purchased or installed your monitors, you can go through a third party like squaretrade. The Kookaburra, a Saint Augustine staple for coffee and Aussie Pies, opened the doors to their second location in Saint Augustine last week. As one of Menuat’s clients, The Kookaburra’s owners are able to actively respond to the seasonal demand that comes with operating a business in a tourist destination. The Kookaburra is located right in the heart of Saint Augustine’s Historic District and uses Menuat’s Instagram integration feature to engage with their customers. 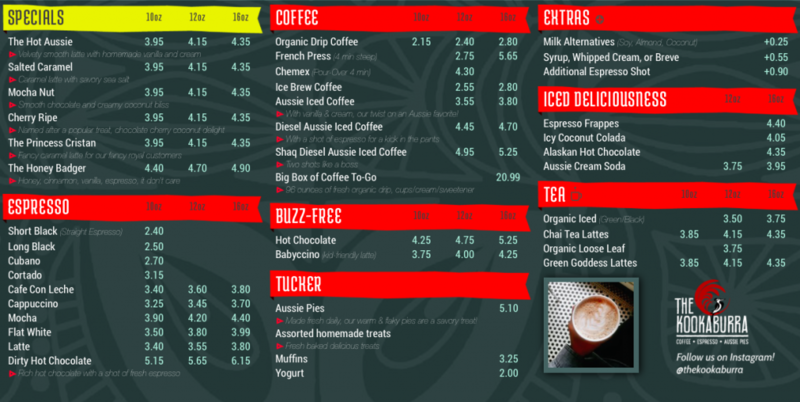 The Kookaburra’s customers spend more time looking at their menu as the photos rotate, resulting in up-selling and suggestive selling of menu offerings. 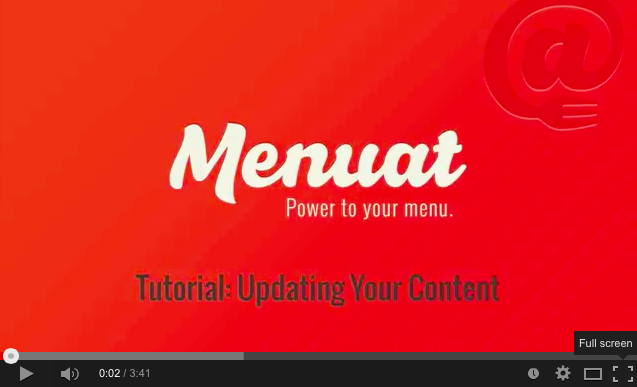 Below is a quick tutorial of Menuat’s Content Management System. Some of the functions demonstrated are how to change a price, product description, list order, temporarily hiding and completely removing items from your digital signage. When implementing your digital signage campaign, the design and messaging can make or break your ROI. Given that design is not my area of expertise, I went to Menuat’s lead designer, Emily Charette, for insight. Emily is a former Turner-Duckworth designer whose portfolio includes high-profile clients such as The Coca-Cola Company, Dolby Digital, and Metallica. When starting a new project, what it the first step in the design process? During the first design consultation, we gather as much information about the business as possible to determine the target market. Then we discuss the specific message the client would like to convey. Then, with that information, our designers are able to craft the best message to reach the target market. This is the fun part! But there’s some technical aspects too. It’s important that the message is clear, on target, and includes some kind of call to action. Without the call to action, the audience may become more informed about the business, but they aren’t directed toward making a purchasing decision. After you have completed the messaging, how do you make that message visual? First, we choose some supporting imagery. Choosing the right images can be difficult because as a designer, you are taking a message and converting it into visual cues that will convey that message. Its really important that the images are simple, high quality photos that will support the text. One of the great things about designing for digital signage is that you can rotate images while keeping the text static. That way, you can use different images that appeal to different segments of the target market. Imagery, color, fonts, and layout all combine to create the overall visual message. When do the message and supporting images come together? Once we’ve learned about the target market and the client’s message, we combine them in the layout. Its really important that the layout is logical, legible, and consistent the business’ branding. Contrast is used to increase legibility. Type sizing is affected by how much we have to convey on the boards, as well as how far away the viewers will be standing the board. Arguably the most important element to creating the design for digital signage is making sure that it is in line with your current branding. Customers don’t necessarily visit an establishment for their product or service. Yes- that’s a huge part of it, but its the overall experience that keeps customers coming back. Your customer’s experience begins with the first time they view your marketing materials (website, advertisements, a customer referral etc). Any final words of wisdom to the design novices? Design and messaging are paramount to any campaign – digital or static. Your design and messaging build a bridge between your brand and your target market. With effective design, new clients will run across the bridge and become customers for life. 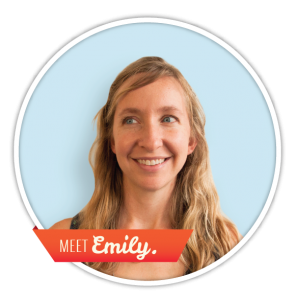 Emily is the Lead Designer for Menuat and Principal at We Are Charette, a Florida based branding & design agency specializing in natural food products. 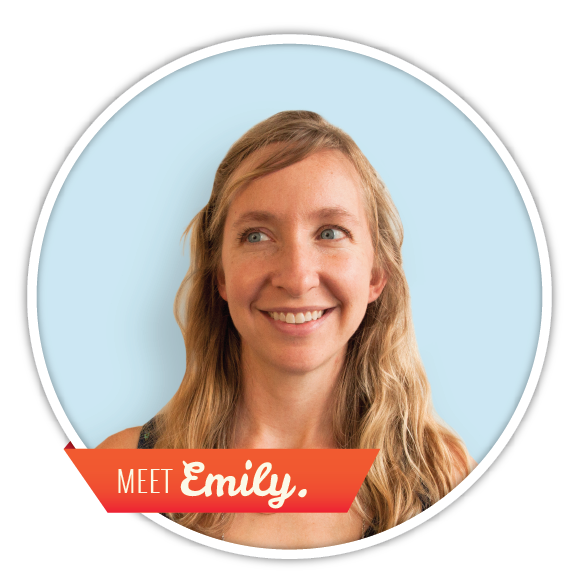 For more information on Emily, visit WeAreCharette.com or e-mail her at Emily@WeAreCharette.com. Last week the Menuat Team attended The Atlanta Foodservice Expo at The Georgia World Congress Center. Over the two day event, the team met with many restaurant owners as well as students from local culinary programs who were eager to learn about digital signage in the restaurant environment. With over 150 companies exhibiting, there was a variety of products to test from every sector of the industry. All of the usual suspects were in attendance, Cheney Brothers, US Foods, Square, and First Data. Notable newcomers include BitPay, a payment processor that allows merchants to accept Bitcoin, Red Hare Brewing, an independent craft brewery located in Marietta, GA, and Uber, the popular alternative to the traditional taxi service- More on those in a future post. One of the big attractions of The Expo was the keynote address given by Chef Robert Irvine. He spoke to the importance of using the latest technology in restaurants to stay successful. We could not have written a better keynote ourselves. Staying current with technology in your restaurant is imperative. There are so many new products on the market that help you analyze your restaurant’s operations to remain profitable and appropriately price menu items. Menuat’s software, for example, allows restaurant owners and managers to change pricing, menu layout, and daily specials as needed to protect profit margins and increase up-selling. 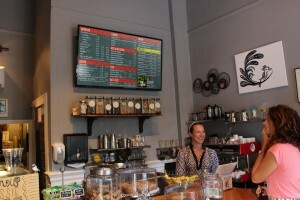 Most restaurants who install digital signage in their location see an increase in revenue from 5%-9%. Be mindful of the numbers. They don’t lie. Welcome to the Menuat Blog! 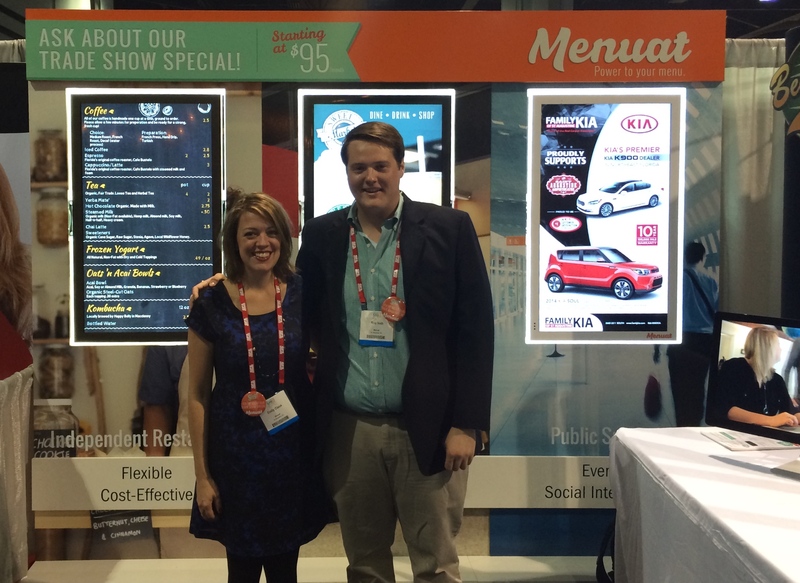 Welcome to The Menuat Blog, your source for everything you need to know about Digital Signage. First of all- What is Menuat? Menuat is the all-digital signage solution for restaurants, bars, and public spaces. Menuat’s software can be tailored to fit any venue from restaurants to public transit. The most popular application of our software is fast-casual restaurant menus, but it is also used in full-service restaurants, retail stores, concert venues, and airports. Our easy-to-use content management system allows the operator to log-on and make any necessary changes to the sign’s content without the need for expensive editing software or web development skills. All content is cloud-based and updates are made in real-time across all platforms (in-store, website integration, and mobile devices). The Menuat Team has a broad educational background in web development, design, business, and operations with one common thread; we all have worked in foodservice at some point in our careers. Menuat was born from the need of restaurant owners to be able to change menu options and pricing to protect their profit margins. Nothing is more off-putting than seeing a brash marker line through your favorite menu item. Restaurant owners need to be able to change their menu often, as the prices of their ingredients fluctuate frequently. Menuat allows restaurants to stay on top of the ever-changing landscape of the restaurant industry with the flexibility to respond to those unforeseen price increases and eliminate the costs associated with printing new menus. Our content management system (CMS) has evolved from a simple menu solution to a multi-discipline platform that can be adapted to fit most applications such as advertising, event schedules, way-finding, and the retail environment. The Menuat Blog will be your one-stop source for digital signage and restaurant technology. We will cover everything from emerging technology, new products, Menuat Features, questions from actual restaurant owners, and everything you will need to know to stay up-to-date with the industry. If you’re thinking about installing digital signage and have questions that you would like addressed, please forward them to jeff@menuat.com or give us a call at (904) 495-0616.